One of several ways in which Maxine Clarke aka Petrona is being remembered is through Margot Kinberg's fabulous idea to put together an anthology with all proceeds going to the Princess Alice Hospice. 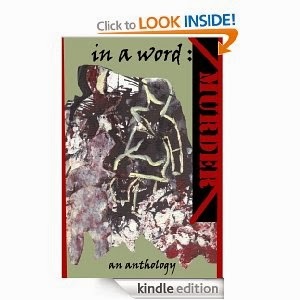 She's announced today that the anthology, In a Word: Murder is now available to buy. Contributors are: Martin Edwards (Author), Pamela Griffiths (Author), Paula K. Randall (Author), Jane Risdon (Author), Elizabeth S. Craig (Author), Sarah Ward (Author), Margot Kinberg (Editor). Read more about it at Margot's blog. Thank you, Karen - I appreciate this very much. This was a great idea and now that it's come to fruition, it's even more of an accomplishment, while being a tribune to the late, but eminent Maxine Clarke. The crime fiction reading community owes a round of thanks to the editor, writers and illustrator of "In a Word: Murder." I so look forward to obtaining a paper version when it is published, and will be very glad to purchase it, knowing the donation is going to a very good cause.